Glory and trumpets! Telltale officially launches Jess Mookherjee’s pamphlet The Swell at 7.00pm at the Pitcher & Piano in Tunbridge Wells on 5th October. I say ‘officially’ because The Swell went on sale at the Poetry Book Fair. I have to tell you this fabulous pamphlet sold like piping hot cakes. Why? Because it is absolutely excellent. 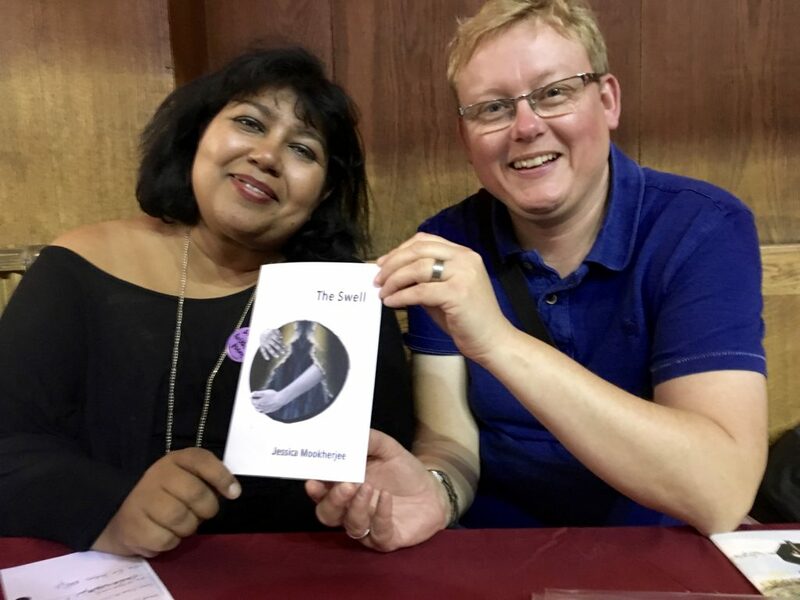 So if you missed the fair, and want to lap up a Jess Mookherjee reading and buy her pamphlet come to Tunbridge Wells on 5th October. Plus, later in October, there will be another Telltale & Friends reading in Lewes, which will also feature Jess and stellar guests we are busily confining as I type. 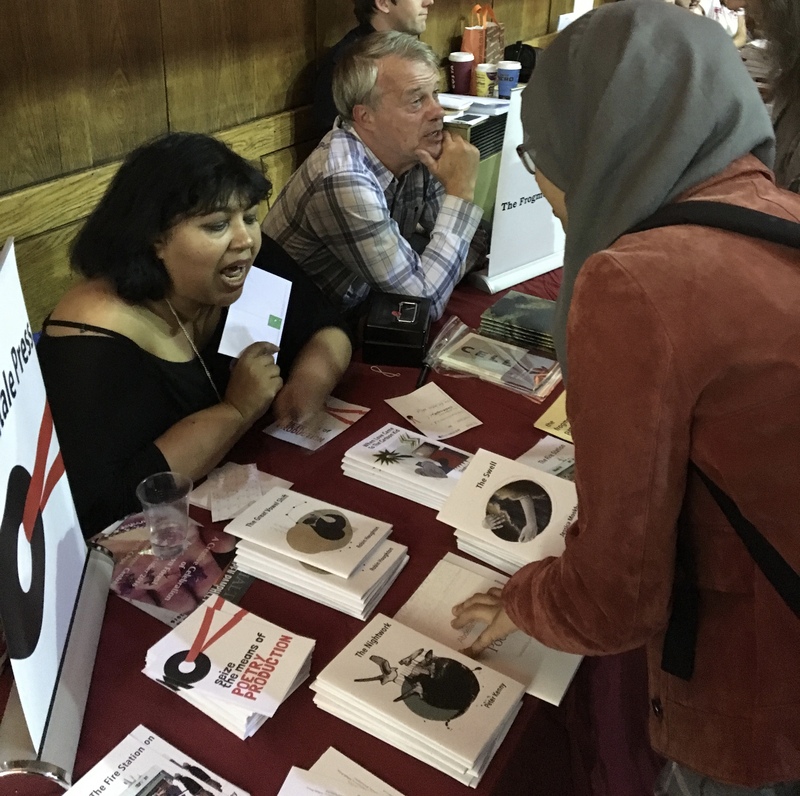 As ever the Book Fair itself was an unmissable opportunity to hear some amazing readings (my favourite was Judy Brown whose book Crowd Sensations is a stunner) get an overview of the UK’s thriving poetry scene, and bump into loads of old poetry muckers. Later Jess, Sarah and Peter also represented Telltale by giving a quick reading in the Square Pig & Pen pub nearby. A few snaps from the day. A poet and her editor: Jess Mookherjee and Sarah Barnsley with The Swell. Jess selling another copy of her marvellous pamphlet The Swell. 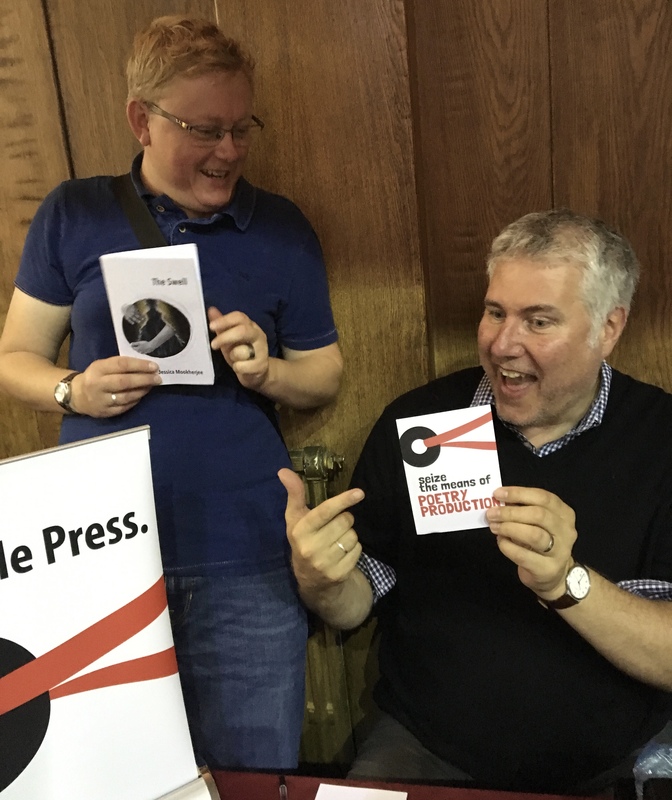 Next to her is Jeremy Page of The Frogmore Press who shared a stand with us again this year. Sarah Barnsley and Peter Kenny get slightly too excited on the Telltale Press stand.